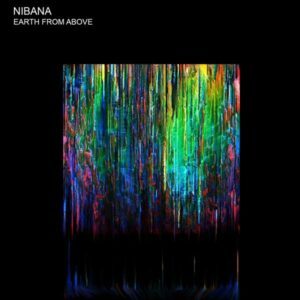 Nibana’s hour-long voyage Earth From Above is a tender dub-dream of tear-jerking electronica and adventurous synth-scapes in homage to the recent passing of his father. Hidden betwixt an atmospheric world of colorful drum kits, charming saxophone, and deep pads lies a soulful story straight from the heart. Each chapter of this orchestral concourse flows together in a conceptual idea-ology, one that will satisfy old school audiophiles and auditory newcomers alike. Prepare yourself for an ethereal journey through the cosmos, for the sublime rhythms of this hypnotic release are strikingly beautiful, and one may find themselves drifting into another realm. Written and produced by Nibana; saxophone on track 8 by Isabella Fabbri; mastered by Gibbanez Music; artwork by Tarian and Nibana. MP3 Download | FLAC Download | WAV Download · Download count: 4,628. Yet another gem from Nibana and my favorite so far! Thanks!! Had this since it came out and its fantastic! Tx Nibana and Basilisk for flac. Amazing album, had to buy on Bandcamp. Really emotive music, such beautiful sounds, it always moves me!